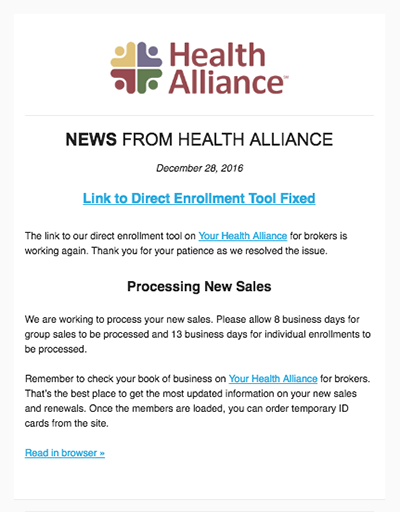 Health Alliance used to send partner communications (to providers, brokers, and employer groups who have our insurance) in many different ways. 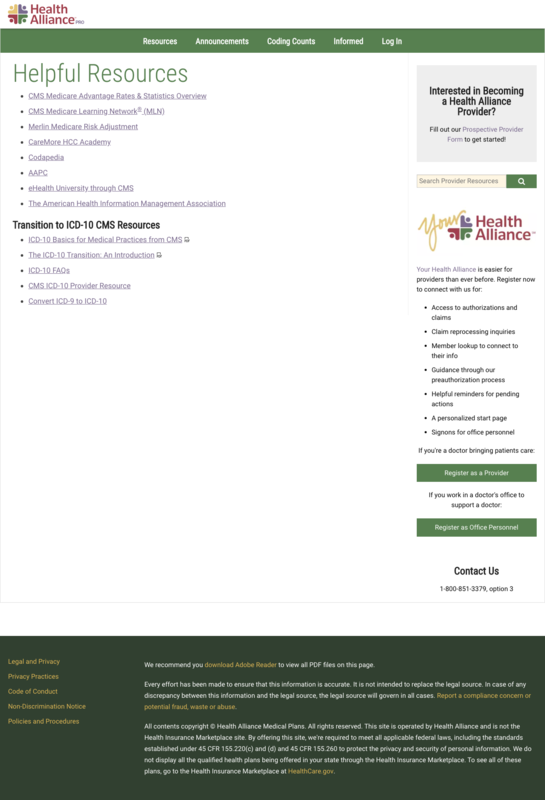 For example, providers had resource pages on our main website, Medicare website, Medicaid website, and they can create accounts on our login site, YourHealthAlliance.org, as a provider or office manager. 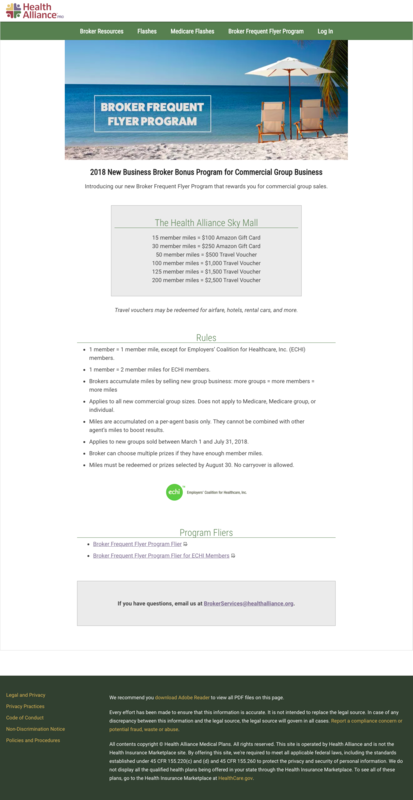 We also sent them a newsletter every other month and flashes as needed. 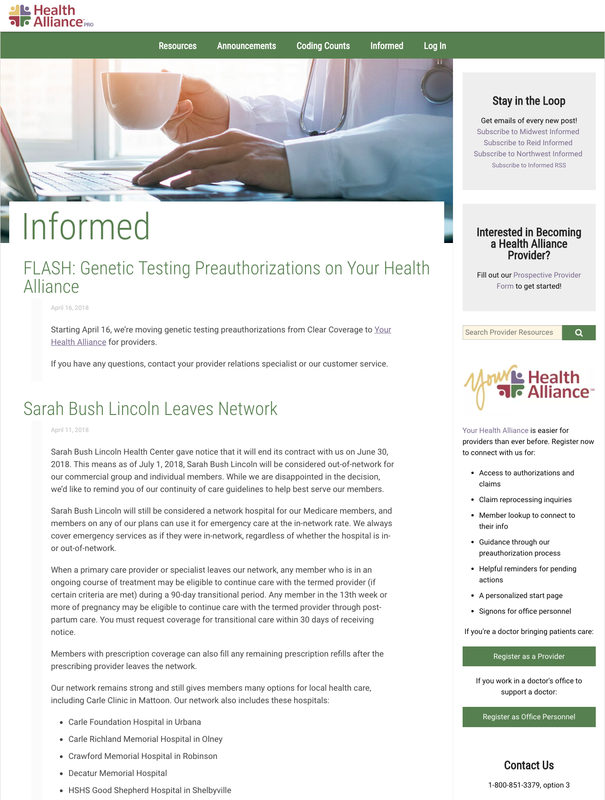 We also posted important announcements on YourHealthAlliance.org. 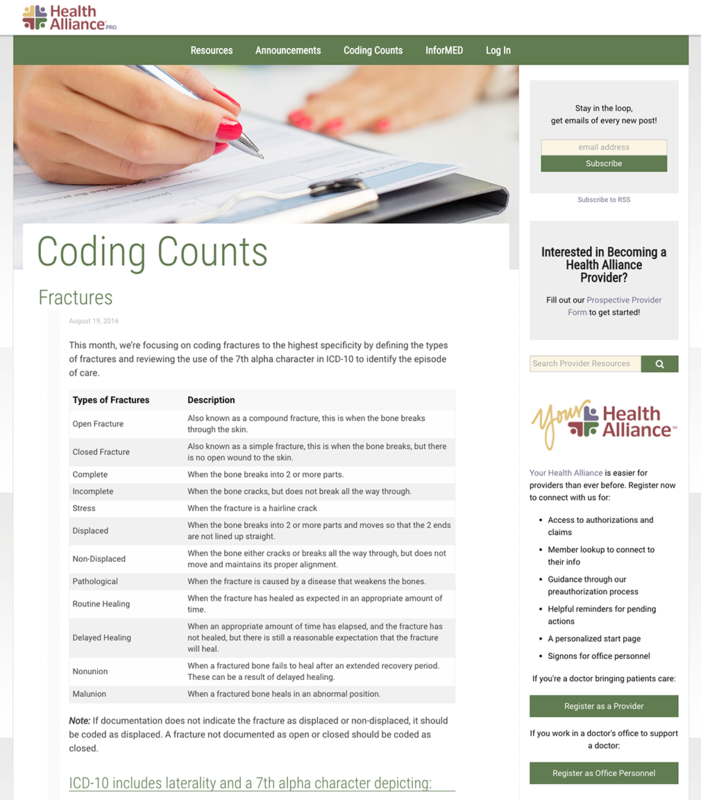 And, finally, we sent out the occasional email about medical coding, which was tied to Coding Counts, a blog that sometimes got posts. Essentially, they used to have to check their email and 5 websites to stay up-to-date. Combined with the outdated email system and list maintenance that we were using, it could be extremely difficult to be our partner. 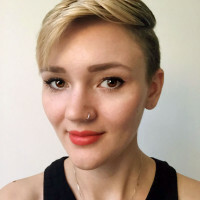 In an effort to make their and our lives easier, I proposed a project to unite everything that this audience didn’t need to log in for into one site. 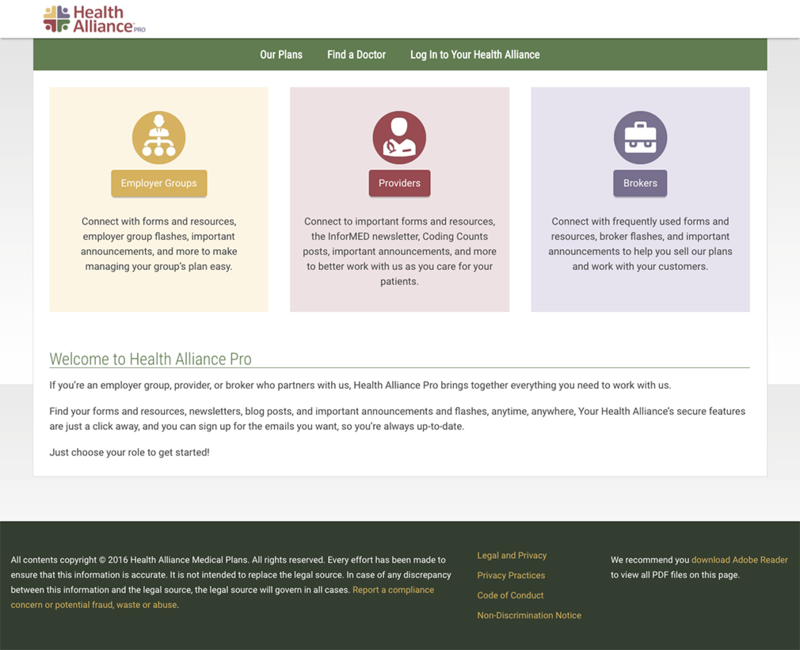 My team and I built Health Alliance Pro for exactly that purpose, and then I continued to manage it. 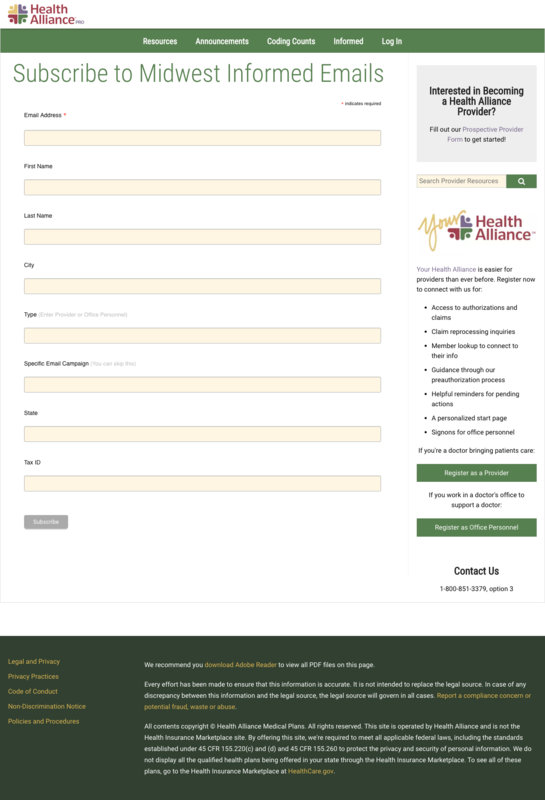 Health Alliance Pro solved a number of problems for us, letting us unite resources, condense news and announcements into a central location, connect to potential partners, and route partners into the correct registration for their role type on YourHealthAlliance.org. And it emerged as the perfect home for our B2B initiative for helping our employer groups make the most of their insurance plans. We were also able to set up RSS feed-triggered emails, organize and archive past emails, and let people sign up for email notifications. I designed, wrote, coded, and managed all of these broker pages. 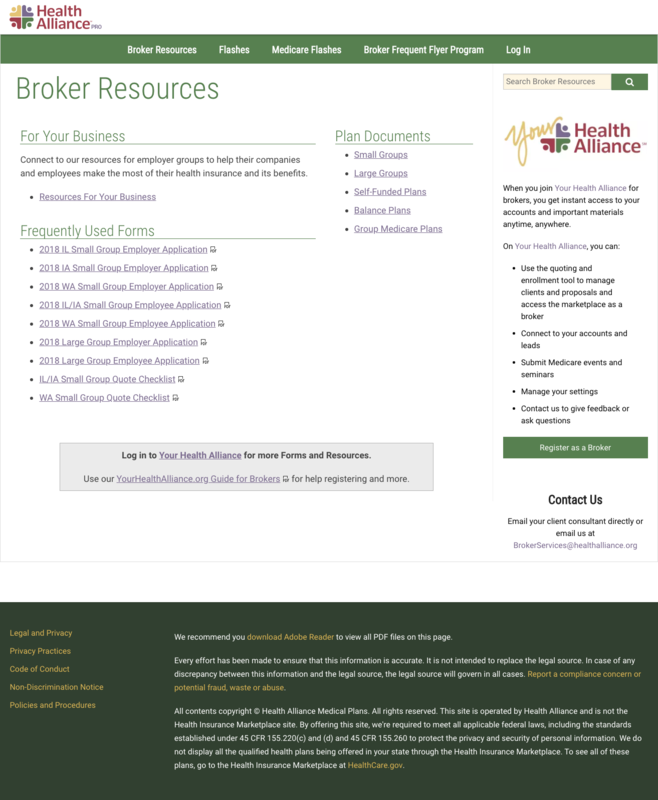 This was a special landing page on incentives for brokers that I designed on Health Alliance Pro. Each year, we held a broker summit with a different fun theme. 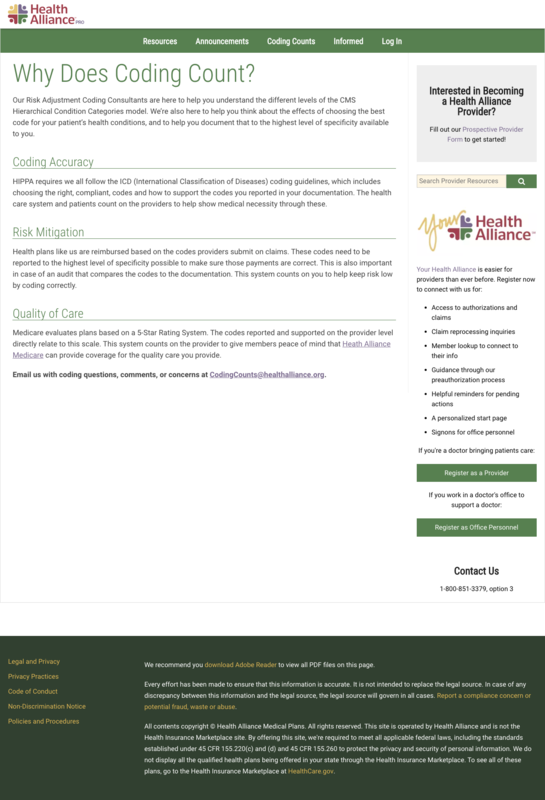 I designed this landing page for the 2017 event on Health Alliance Pro. I designed, wrote, coded, and managed all of these group pages. 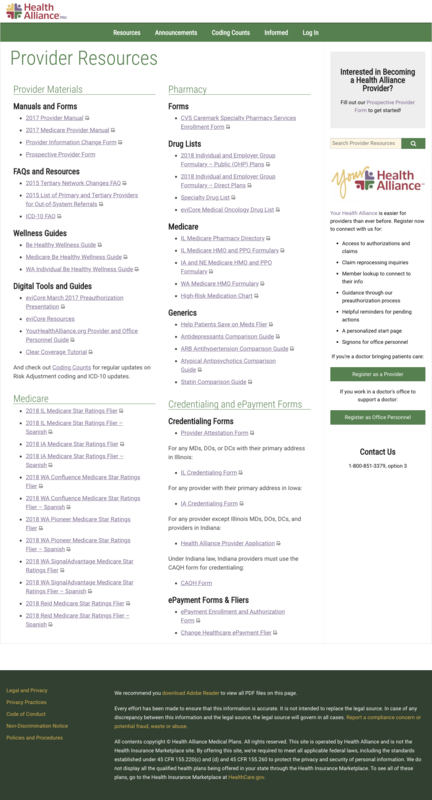 I designed, wrote, coded, and managed all of these provider pages.